The Rev. Ann Berney walks along the border wall between El Paso and Juárez. A team from Seattle: Wallingford United Methodist Church visited this area to participate in Abriendo Fronteras (or Opening Borders). Special thanks to Ann Joyce, Jerry Jutting, Mary Latham, Nikki Nichols and Diana Pearce for contributing their experiences in this article. Palm fronds are decoratively placed on stage at Wallingford UMC in Seattle.On a bright Sunday morning in Seattle’s Wallingford neighborhood, palm fronds invite all to this small yet vibrant church. Inside, congregants wave palms, shouting, “Hosanna in the highest!” — imbuing a sense of welcome, peace, and the coming of Justice. Following the service, nine members of Wallingford UMC gather to share their thoughts on their experiences from their recent trip to El Paso, Texas and Juárez, Chihuahua (Mexico). The group participated in a program called Abriendo Fronteras (or Opening Borders) on March 19-25, 2017. Members from Wallingford UMC discuss their recent trip to El Paso and Juárez.The group learned first-hand what is happening to brothers and sisters seeking refuge along the United States and Mexico border. The Opening Borders program was both an educational and emotional immersion experience for these Seattleites. About 1,700 miles away from Seattle, the Rio Grande River separates El Paso and Juárez. Here, El Paso’s peacefulness contrasts with Juárez’s violence: gangs, murder, extortion, militarized police, political corruption, and distrust are a daily reality for its citizens. This prompts many to seek sanctuary in the U.S. In Juárez, the group visited social and human rights workers; a women’s cooperative of craftwork and empowerment; a medical clinic; a day center for disabled children and families; a grassroots tutoring center serving 70 students daily; and saw memorials to victims of violence. 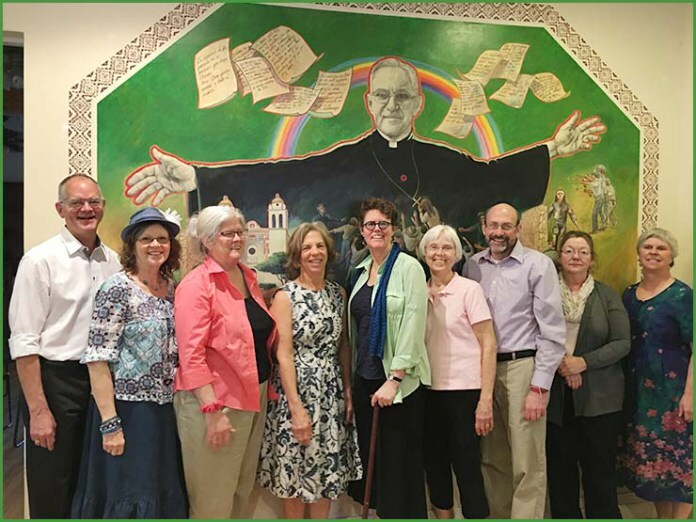 In El Paso, the group met with Border Patrol Agents; visited an immigration law clinic; attended federal court deportation proceedings; participated in Mass at the Detention Center; toured Annunciation House where refugees and some from the detention center are housed; prepared and shared in a meal with its residents; was served by a victim and refugee from violence; and absorbed insightful data from a university professor on the origins of violence and the urge to escape. Reporters exposing social injustice and corruption continue to be murdered. The area’s historical struggles correlate to the drug and arms trade, as well as, political and local policies of both the United States and Mexico. The Abriendo Fronteras program nurtures holy listening, sharing through dialogue, and sending participants out to put faith into action. Housed at El Paso’s Columban Center, the group opened the day with prayer and singing, and closed each day with prayer and reflection. Father Robert Mosher of El Paso’s Columban Center hosted, guided, and interpreted for the experience. The Rev. 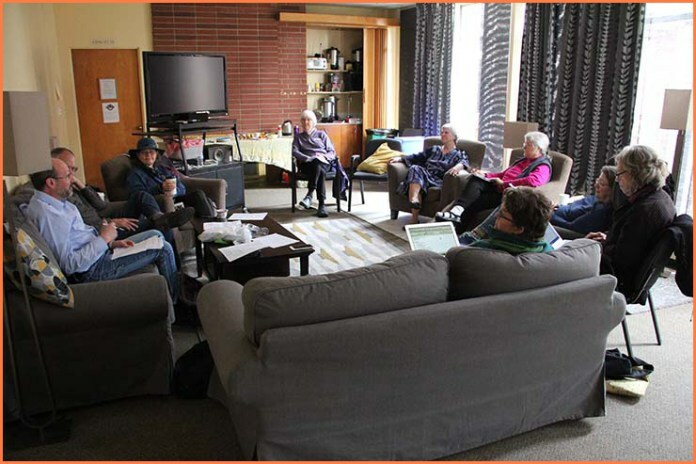 Ann Berney serves as lead pastor at Seattle: Wallingford UMC. Berney welcomes guests and members to church during Palm Sunday.Pastor Ann Berney has challenged the team to discover connections between what is happening on the border and what is happening in Seattle. According to the Department of Homeland Security, 84 foreign nationals were arrested in the Northwest, with 19 from King County, in a recent Immigration and Customs Enforcement (ICE) raid, last March. A Reconciling Congregation since 1983 with a tradition of welcoming those on the margins, WUMC continues to feel the impact of the trip as the Church stretches to fulfill its mission. If you would like folks from Wallingford UMC speak at your church, please contact the Rev. Ann Berney, 206-551-5918. Learn more about Wallingford UMC’s upcoming events, visit wallingfordumc.org or visit Facebook, fb.com/wallingfordumc.